Buffalo check is a cheery and classic print that creates a cozy, relaxed, and fun feel to your decor. 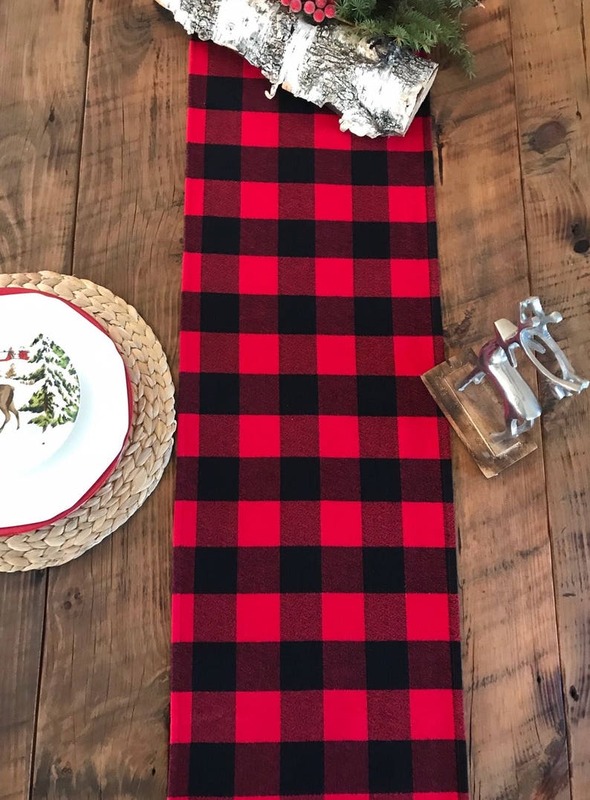 This listing is for one Red and Black Buffalo check table runner or pillow cover in Red Buffalo print. Approximate width of a table runner is 13". The color of a runner is a dark red. Made of medium weight flannel fabric. Care: Gentle cycle, Cold water. Wash separately, colors may run.